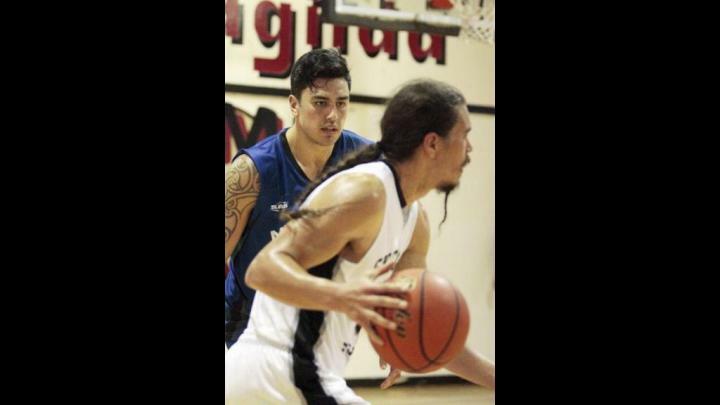 Players on the Maori National Team showed tight defence in game one of a friendly series with the Skidegate Saints on Aug. 16. After hosting the first World Indigenous Basketball Challenge in Burnaby, the Skidegate Saints played the Maori national team at home. Fresh from the first HaiCo World Indigenous Basketball Challenge they organized at Simon Fraser University in Burnaby, the Skidegate Saints hosted the Maori National Team from New Zealand for game one of a friendly series at the George Brown Recreation Centre on Tuesday, Aug. 16. Opened with Haida dancing, Maori songs and a haka, the first match-up went to the Maori, who had a great passing game and held a cool 20-point lead most of the night.